My board is currently experiencing problems. 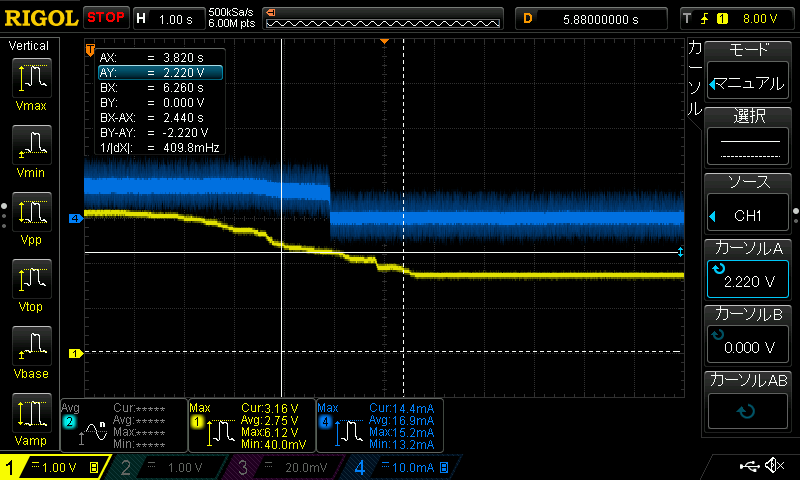 That is the discharge of the battery. * In the non-charging state, the batteries decrease when locking and not locking. * VTC4 It has changed from 99% to 70% by leaving for 2 hours. 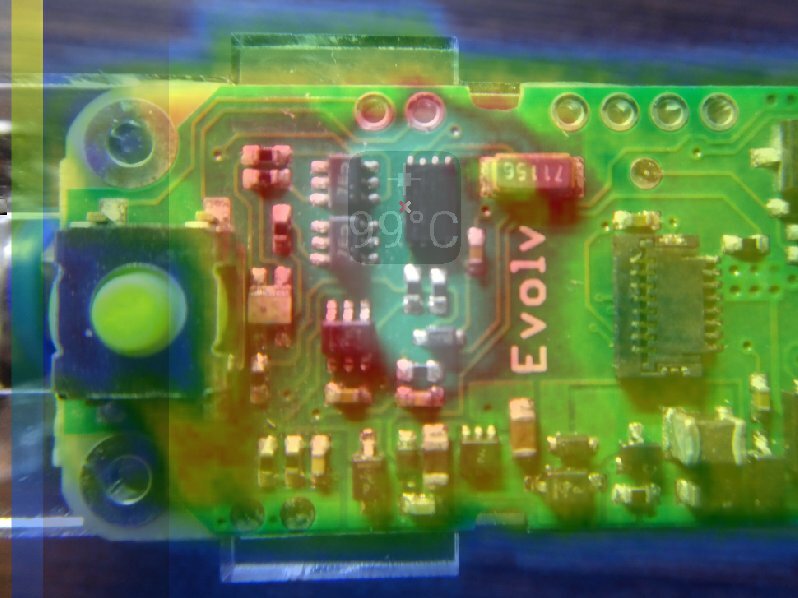 * USB connection, board is generating heat even in non-charging state. 2. 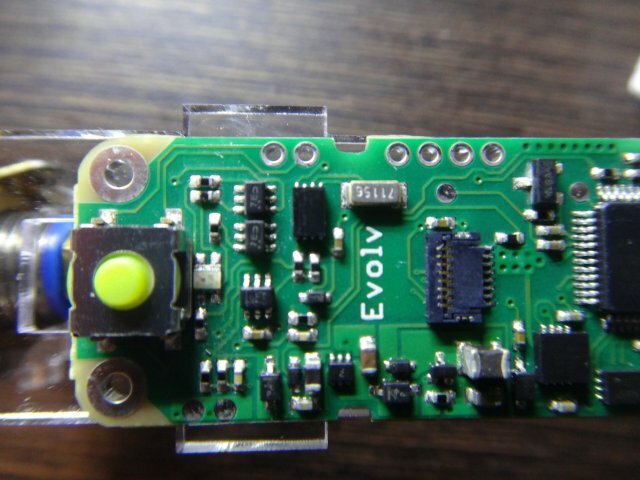 The board will use the battery until the end voltage of the battery. * If left unattended, I will use the battery until it is empty. 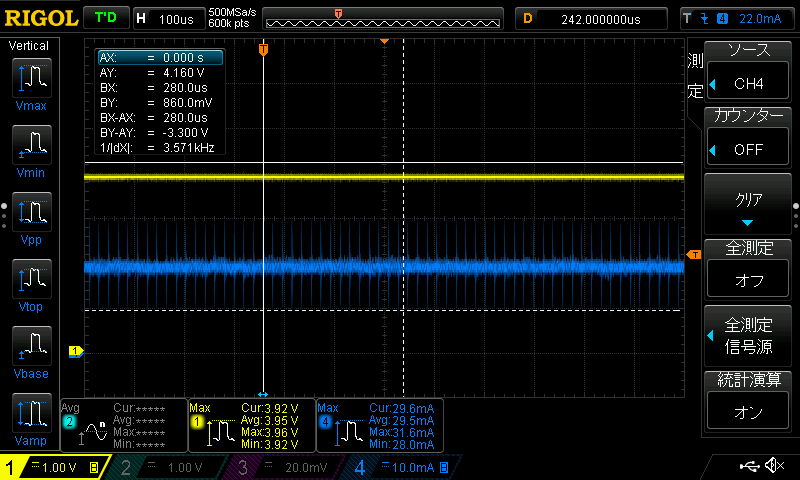 * About 0.9 V or so. My board was not originating from the beginning. Perhaps, after doing "restore default", it seems that a phenomenon is occurring. My board does not use production utility. The default setting is the initial state. Items other than "Theme" are not operated. @eucalyptus. does the problem resolve itself if you re-install the firmware or perform a hard reset? if not, i would open a help ticket with Evolv. 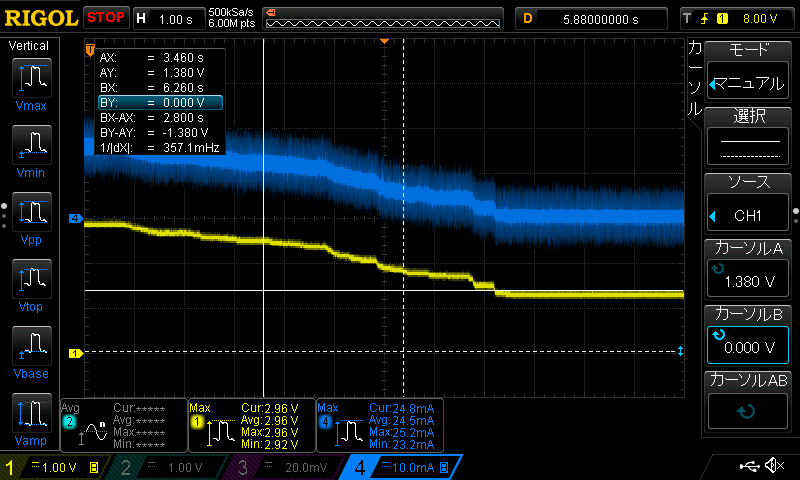 the board should never let the battery pack go below 2.5v. is it possible to examine the board for damaged or missing components? could you have accidentally made a mistake when soldering in board? I have examined it in more detail. I tried reinstalling Rev 19 and Rev 20, but there was no change. I compared it with a new board. Therefore, not only F/W but also element failure is suspected. The cause seems not to be F/W. Probably it is a trouble of RTC. 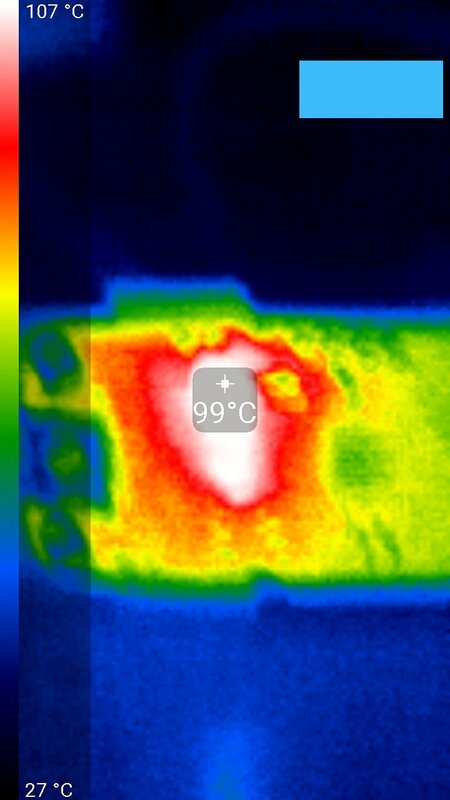 When we measured the temperature with Seek Thermal, the elements of the image were generating heat. Because Xtal is connected, I think it is RTC. We found and fixed the firmware bug that could cause this with some combinations of atomizer resistances and settings. The good news is the error was in firmware, so installing SP 21.1 fixes the problem. The error has been lurking for a while, but really only manifested itself badly when we corrected the overvoltage case throwing check atomizer rather than limiting the output recently. The bad news is if the clock already took damage due to the bug, like in your case) the damage is in hardware and you will (eventually) need to have the RTC chip replaced. That's covered by the warranty of course. Fortunately there are VERY few of these in user hands yet, so the extent of the problem should be limited. I am sad that symptoms have occurred on my board, but it is good news that I found a bug earlier and that I can improve with software. 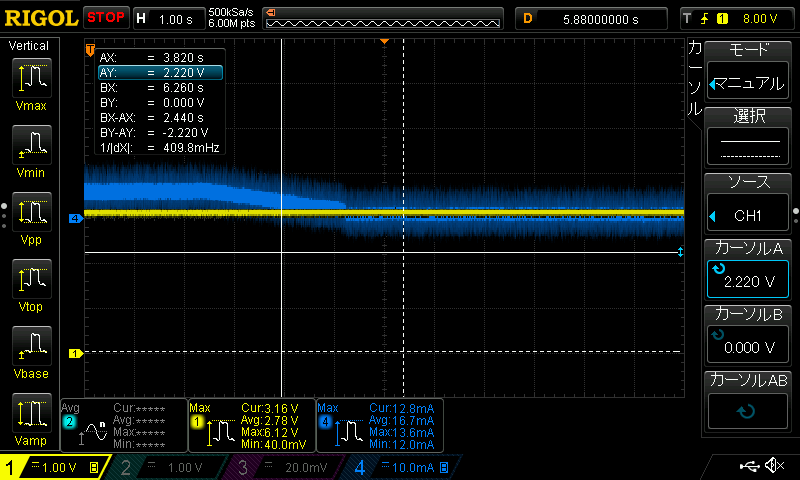 However, since it is a problem related to the battery end voltage, I urged the firmware update. Uhm, is that 1.0 SP21.1? Or 2.0 SP21.1? Because I can’t find anything in the forum, site or googling.